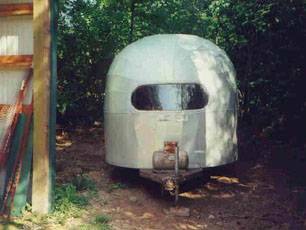 First post war Airstream. Production started May 1947 at the Los Angeles Metro Airport (Van Nuys). The Liners were available in 7 different standard option layouts: Southwind Breeze, Chinook, Tradewind, Westwind, Zephyr & Sea Breeze. The s/n plate from the 7th post war Airstream (22′ Liner). Note that Wally started at the LA Metro (Van Nuys) Airport. It would have been built in June 1947 – the 2nd month of production. Here’s the plate for #28. 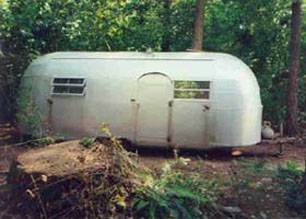 Obviously this trailer has led a harder life. This one would have been built in August 1947. Here’s the plate for #49. Obviously this trailer has led a harder life. This one would have been built in October 1947.